Full Figure models are ruling the runway in style! Designer Atelier Nicola D'errico shows off a bold, beautiful collection for the spring. 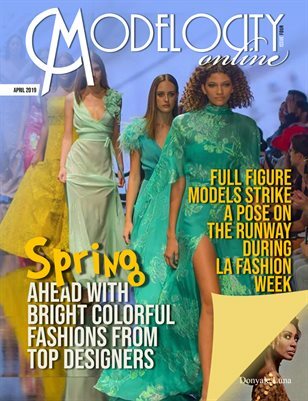 Plus a very special Ground Breaker section of those who paved the way in the fashion and entertainment industry as well as everything a model should know is in this issue.